Notes of my life: International management consultant for University Research Co. LLC. (URC) Have lived and worked in San Francisco, London, Tunisia, Senegal, Ecuador, Uruguay. Current Activities: Vice President of URC, involved in both corporate management and consulting. Currently consulting in Latin America and Africa. Play tennis and golf. Plans for the future: Continue working for 3 or 4 more years, move to a part-time consulting position, probably based in Europe. I graduated from KU in education and have taught school off and on. I’ve been married to Ron Wright of our class for nearly 47 years now; we have two children and four grandchildren who live nearby. Ron and I invested in fixer-upper houses that we either rented or sold after they were looking good. I also spent some time painting window signs for various stores. I like to read and love living on our “farm” outside of Lawrence. We have just enough acres that it’s very quiet. Ron and I enjoy traveling, which started as tent-trailer camping and has graduated to bed and breakfast inns now. I’m retired, still married (49 years) to the same beautiful wife — Joan Bosze Rainwater class of ’60 — and have two children, five grandchildren, and five great-grandchildren. Both our families still live in Lawrence, so we try to visit annually. I’m looking forward to seeing everyone. Notes of my life: Went back to school for a masters in psychotherapy and has an office in El Paso, as well as J.A. 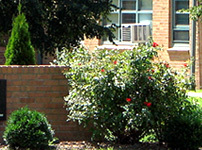 Designs, a commercial interior design business. Plans for the future: Sell the El Paso house and keep the one in Tucson to play golf, etc. and on in Show Low, Ariz, to relax in the mountains and golf. But will continue to work forever. 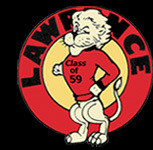 Memories from Lawrence High Days: Team spirit, sports rallies, games, dances, parties (at Larry Midyett’s) Many great people in retrospect.